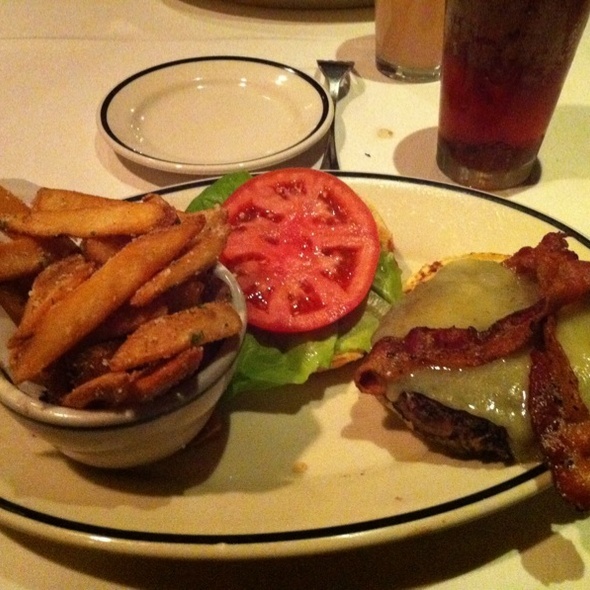 You must make reservations at least 5 minutes in advance of the time at Stoney River Steakhouse and Grill - Deer Park. Public parking is available within the Deer Park Town Center. Stoney River offers complimentary valet parking to all of its guests. Join us for weekend brunch beginning at 11:00AM on Saturday, November 8, 2014. Petite Cut - 7 Oz. Regular Cut - 10 Oz. Regular Cut - 12 Oz. Extra Cut - 16 Oz. *Consuming raw or undercooked meat, poultry, seafood, shellfish or eggs may increase your risk of foodborne illness, especially if you have certain medical conditions. The food was excellent although it came out to the table much slower than expected. Even with that, our server Sarah gave us great attention and took the sting out of the delay in the food. Good food and atmosphere. Sydney was an excellent server. Terrific brunch on Easter Sunday. Top notch service along with exceptional cuisine made for a memorable Easter Brunch. We will be back soon! Fantastic service! Our server did a great job and really made the evening enjoyable. Food was great as usual. Overall nice atmosphere. A little dark for my liking. Quality food, but a little pricey. Good place for a special meal. end of night, and of prime rib. overdone, poor taste, really none, tough to chew. We always enjoy going to Stoney River. Our food server Chris is always a pleasure to deal with. Menu is tired. Haven’t been in awhile but the menu hadn’t changed at all. Gotta stay interesting and current, which they aren’t! 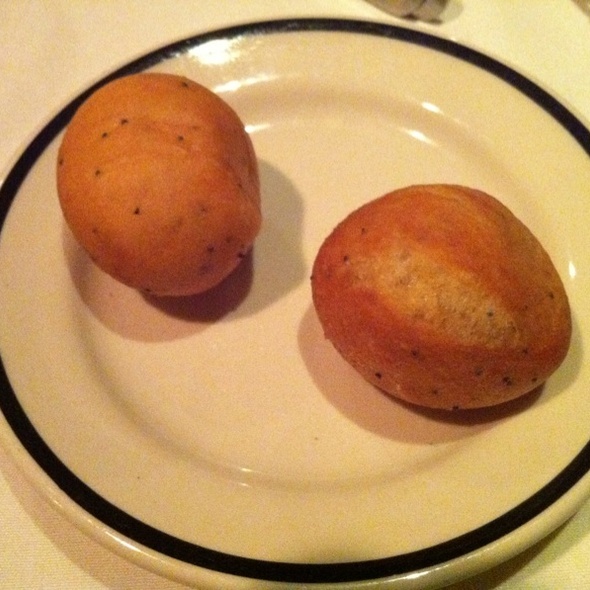 We haven't been to this Stoney River in many years...we used to love it, but to be honest, the best part of it was the dinner rolls (or "crack balls" as we call them). We were there for husband's birthday, and other than a brief acknowledgement of that by the waitress when we sat down, they did nothing special at all (which seems odd for a high priced steak place). My husband ordered the prime rib and it was not at all good, and undercooked. I ordered the espresso filet, which was actually good, but the dinner salad he ordered and our sides were completely meh. That food, one small glass of wine and an iced tea was $135 with tip, which was a complete ripoff for what we ate, and the service. We save up to go to high end restaurants a few times a year, and with all the incredible steak places in Chicagoland for equal price, I am not sure how this place is still open. We haven't been there for a little while, but we won't wait so long next time. Everything was amazing! Our server was great too! 31st Anniversary service was outstanding the food is always tasteful and they surprised us with a free desert! We really like this restaurant and will go back. On this visit, we tried the prime rib and were a little disappointed. It was tough and not as tasty as expected. 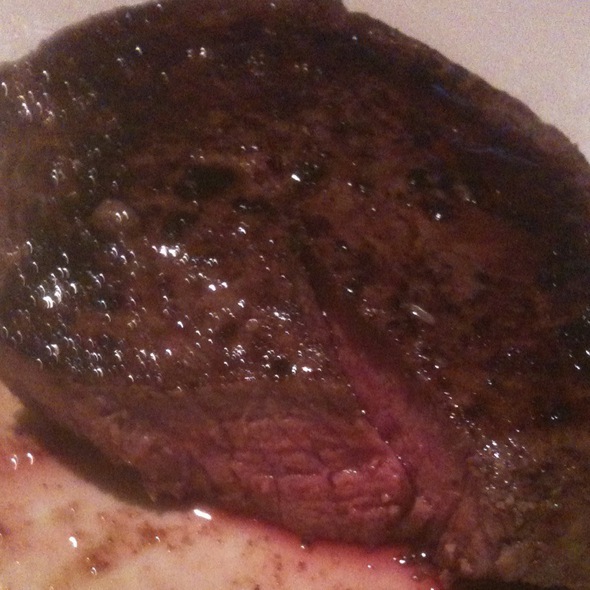 I have learned to stick with the filet mignon. Everything else was great. Brunch is terrific, service above and beyond. Seems to be a well kept secret as it's never crowded (for brunch). Food is hands down the best in the area, and the service we received for my large party was excellent. They didn't rush us, kept checking in on us and just overall took very good care of our group. The manager came over and personally handed my friend a signed birthday card from all the staff...it was a really nice touch!! 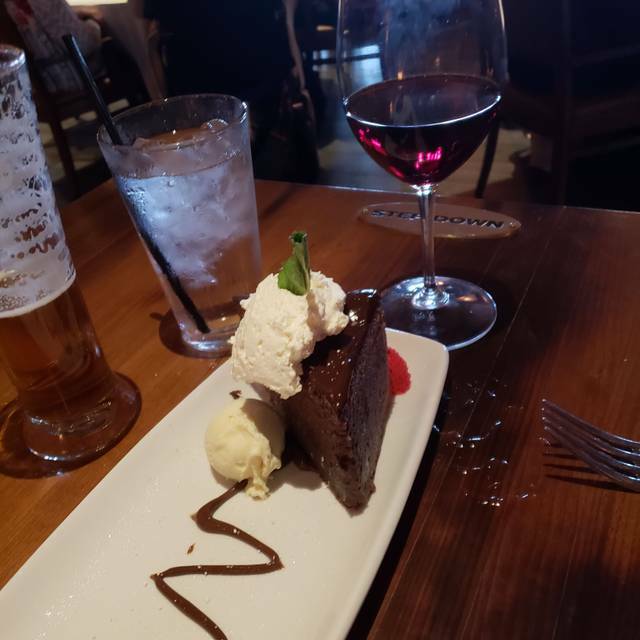 Our first experience at Stoney River was one that would maybe make a few people upset and not want to come back but my wife and I and the other couple we were with recognized this, made the most of it, and ended up having a superb, wonderful, and fun night with superior service and food. That was three years ago and we have been back so many times to Stoney River, Deer Park that it is now our #1 restaurant for dinner (and Sunday brunch) in all of Chicagoland. This past weekend was no exception and the service by Mariah and her sister Cheyenne was impeccable. Thank you for a wonderful evening Mariah and they still call the wind....you! service was not very good and the person i was with didn't have a good meal. they tried to fix it and that just made things worse. I would give it 5 stars except for the cocktails. We ordered southern comfort on the rocks. It was literally 3 sips full. The cocktails are not cheap. They are like $10 a piece. Restaurants get liquor dirt cheap. The whole bottle of southern comfort probably costs them no more than $10. We don’t mind paying $10 a drink but we do mind getting short changed. They need to go back to free pours and stop the corporate metered pours. It’s kind of a game changer to pay $40 for 2 drinks each and only get like 6 sips each. Stoney River never disappoints! Our favorite restaurant steaks, and the mark-up on wine is much more reasonable compared to other restaurants. Service was great, food not so much. We both had the 7oz Filet Mignon dinner and both felt other local steakhouses in the area served a better quality steak. We will not be returning. For our anniversary, the wait staff congratulated us warmly. Their wine recommendations were spot-on delicious. The whiskey shrimp, house salad & filet Oscar made a fabulous feast. We’ll be back. Was excellent as usual. We love the ambience. Food is exceptional. Always a go to. We typically come in for special occasion but we take every opportunity to tell everyone about Stoney River......Awesome atmosphere and fantastic food. 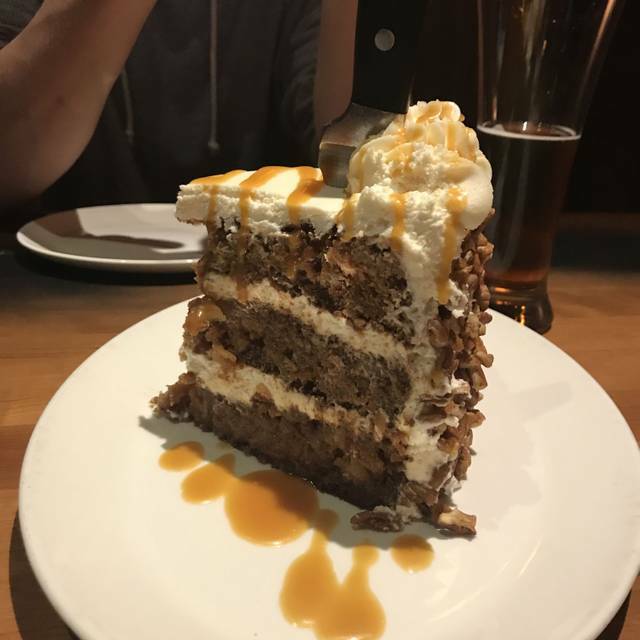 The carrot cake is unbelievable. We plan to try and make it in for brunch or lunch this spring or summer. Would be nice to see a few more shrimp or lobster menu items. Very lively when we were there and had to wait for our reservation. Food was delicious, as usual, but wish the portions had been a bit more generous. Totally enjoyed our evening out. Our only negative was it was a bit noisy. 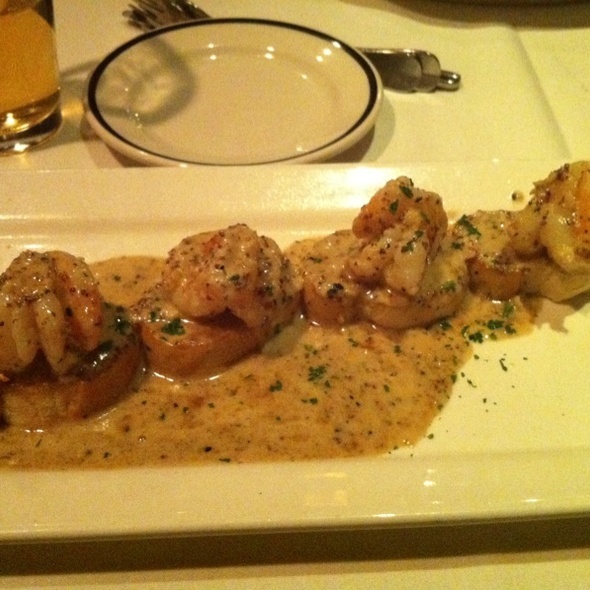 We’ve been to Stoney River a few times and really enjoyed it. This weekend we celebrated our anniversary by having dinner here. The noise level was really high; not exactly a romantic experience. We both ordered the filet mignon and were very disappointed with cut and texture. Especially considering we paid over $30 for each of our steaks. 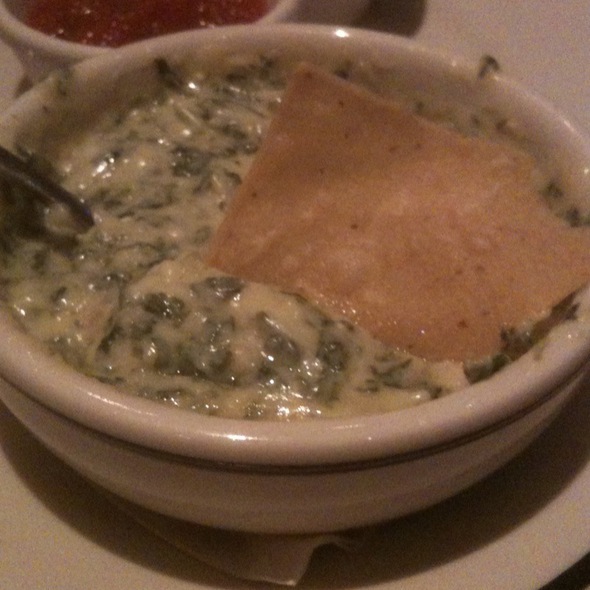 The appetizers were very good and the service was excellent. Food is always great, steaks are cooked perfectly and the service is always outstanding. My server (Sarah Stees) was amazing and the prime rib melted in my mouth broccoli was done To perfection and the French onion soup clearly was made with top-quality broth. Couldn’t of been better. I’ve gone a few times for some special occasions and this time just wasn’t as outstanding. Staff was very inconsiderate of my wishes in regards to the specific reservation I gave them. I don’t think I will be going to this location again. Very disappointed! This was my first time to Stoney River and I was really impressed. I do not eat steak too often as I am very particular. I ordered the filet trio and it was cooked perfectly, tender and delicious. 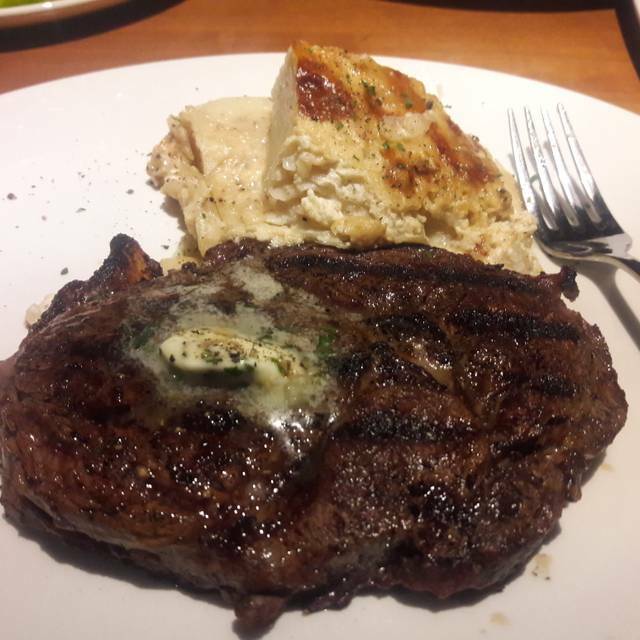 My boyfriend had the legendary steak and he finished it. He also loved his dinner. 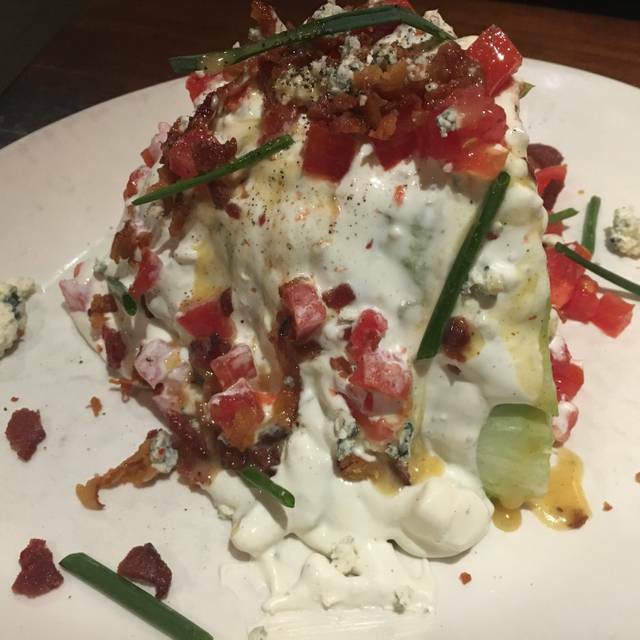 I also had the Caesar salad which was good and he had the wedge. He couldn’t believe how big the portion was, but, he ate it all. And finally, we had the ZD Cabernet that was so good, I called the restaurant the next day for the vintage so I can pick up some for home. Kate was our server. She was very friendly, attentive and she knew the menu well. A manager stopped by a few times to check in on us. We will be back! Excellent ahi tuna and the steaks were amazing. Perfect place for a business dinner. I am a real estate broker who was celebrating listing and selling the highest price property in Barrington Hills since 2012 with my Team. Cindy was our server and did a lovely job. We had two issues that prevented me from giving a five star review. The food and service were absolute perfection. Thank you to Josie for always taking amazing care of our family! Same great food and customer service as our first two visits in the past year. Appetizer salad came out late but kitchen was very busy, even at 8:15p on Saturday. Waiter made up for it with some comps. Well done.